The American Cancer Society says at least 3,000 people will be diagnosed with mesothelioma this year. Most victims will be older men (average age 69) who developed the disease decades after being exposed to asbestos on the job. The majority of these individuals will be diagnosed with pleural mesothelioma, a cancer that affects the tissue that surrounds the lungs. If the disease is caught at an early stage, it can be treated. Unfortunately, because the latency period between exposure and diagnosis is so long, many victims are diagnosed when the disease has reached an advanced stage. At this point, treatment options are limited, with some only aimed at making the patient comfortable. The prognosis is poor for mesothelioma that has reached an advanced stage, so families are often left with medical expenses and mountains of other debt that could reach into the hundreds of thousands of dollars—if not millions. The companies responsible for the victim’s mesothelioma will ultimately have to pay—and not just for medical costs. Lost income, pain, suffering, and emotional distress, and loss of support and companionship are other components of a typical trial award—an award that a recent Mealey’s Litigation Report says is often in the millions. According to the report, the average mesothelioma trial award is estimated at $2.4 million. The report also noted at least one larger trial award that totaled $25 million. The victims in this case were awarded $12 million in compensatory damages, $12.5 million in punitive damages and $430,961 in medical damages, plus interest. Though this is considered the exception, awards in the tens of millions do occur, in part, to deter others from engaging in similar conduct that formed the basis of the lawsuit. Mealey’s noted that while some cases do go to trial, the majority of cases are settled before reaching the courtroom. In these instances, the average settlement is still a hefty $1 to $1.4 million, says Mealey’s, and they are often paid by multiple defendants. If you have been diagnosed with mesothelioma, it is important to understand your legal rights. A legal expert can answer questions about your rights and help you navigate the complex legal process that comes with filing a claim. Contact to a legal expert to help you with your claim today. Hartley, Kirk T., and Brian Redding. "Looking Further Behind The Curtain: Examples Of Mesothelioma Claim Stories Derived From A Limited Dataset From The Garlock Chapter 11 Case, And Some Resulting Questions." Mealey's Litigation Report: Asbestos (2015): n. pag. Gnarusllc.com. LexisNexis, 16 Dec. 2015. Web. 26 Mar. 2018. 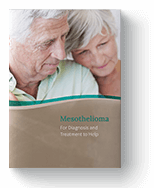 "What Are the Key Statistics About Malignant Mesothelioma?" American Cancer Society. American Cancer Society, Inc., 2018. Web. 26 Mar. 2018.